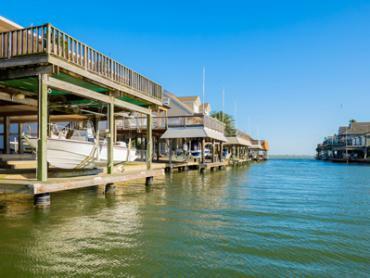 If your only image of Texas comes from old John Wayne movies, you may not know that Texas fishing charters are some of the best in the country. The Lone Star State has a long history of sportfishing, and has enough going on to keep even the most ambitious angler entertained. You can take your pick of what to target, with over 600 miles of coastline and a staggering 5,600 square miles of inland waters to choose from. Couple them with conservation and fishery management efforts dating back as far as the ‘70s, and you have fishing fit to rival even Florida’s famous waters. Texas is probably best-known for its inshore fishing. 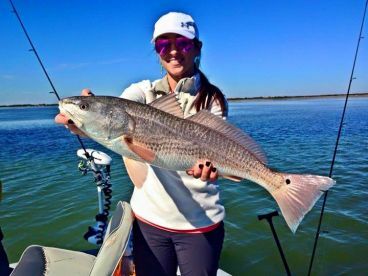 Bans on commercial harvesting and a series of successful hatchery programs have helped build some of the best Redfish and Spotted Trout fisheries in the country. The inshore action’s so good that you’ll find “No Fish, No Pay” guarantees on boards up and down the Coastal Bend. You don’t have to stick to the shallows to have a great time, though. The coastline is littered with artificial reefs and wrecks full of Snapper, Grouper, Amberjack, and more. The action is thickest around the old oil rigs. Texas has turned almost 90 of these offshore rigs into thriving artificial reefs as part of the hugely-successful rigs-to-reefs program, and you can find a huge range of species swimming around them. Head out even further, and you’ll find big game legends like Blue Marlin, Sailfish, and Yellowfin Tuna lurking in the furthest reaches of the Gulf of Mexico. And that’s not all. You can also while away several lifetimes fishing lakes in Texas and never have to hit the same spot twice. Both Largemouth Bass and Crappie reach incredible sizes in the state’s countless lakes and reservoirs. You also have monster Catfish in the rivers and successful stocks of Striped Bass, Smallmouth Bass, and so much more, depending on where you fish. Honestly, it’s easier to count the fish that Texas isn’t known for. Charter a skiff out of any town on the coast, and you’re in for a day of great light tackle action. Some places take things to another level, though. 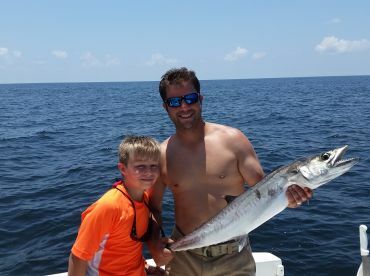 Large charter fleets helmed by generations-long fishing families are the backbone of many coastal communities. Here are a few of the most iconic areas to wet a line, and what you can expect to catch. 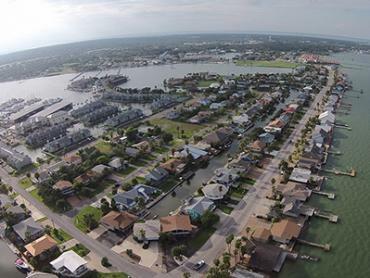 Galveston Bay covers over 600 square miles in an average of just six feet of water. 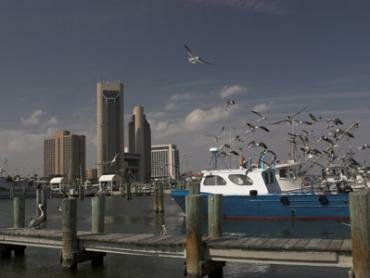 This makes it one of the largest and most productive inshore fisheries in the Gulf of Mexico. Most bay boats focus on landing the “Big Three” – Redfish, Trout, and Flounder – while larger vessels head out beyond the bay to battle Kingfish, Cobia, and various bottom fish. Up for more of a challenge? Head 60+ miles offshore to battle Yellowfin and Blackfin Tuna, Mahi Mahi, Wahoo, and even Billfish. 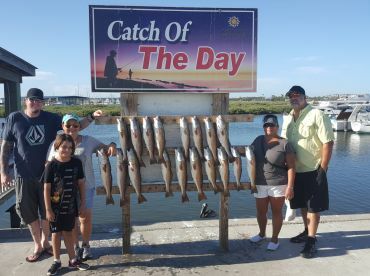 Galveston is the obvious port for fishing the bay, but Seabrook, League City, and many local towns have quality charters. 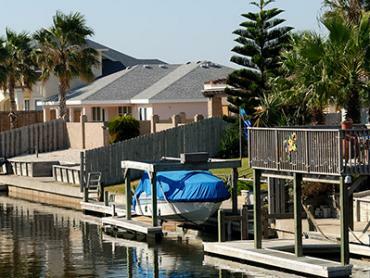 The area around Corpus Christi is a series of large, sheltered bays hemmed in by mile after mile of barrier islands. 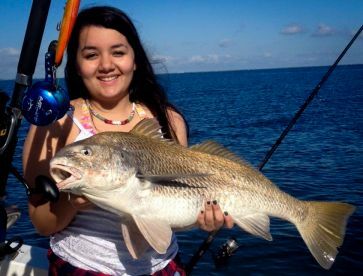 Corpus Christi and Rockport are the center of the inshore action, with easy access to a ton of Red and Black Drum, Trout, Flounder, and more. If you can’t decide between fishing the shallows and heading offshore, nearby Port Aransas and Aransas Pass offer the best of both worlds. Comb the flats or head out into the Gulf to hook Red Snapper, Amberjack, and pelagic species like Mahi Mahi and Tuna. Hidden away down by the Mexican Border, South Padre Island is best-known for its beaches, nature reserves, and rare sea turtles. If that somehow isn’t enough to tempt you to town, the area boasts some of the best fly fishing Texas can offer. Why? Because of the huge Snook which live in the shallows here, alongside Redfish, Trout, and other Texas inshore fishing favorites. “All this saltwater stuff is great,” you say, “but where are the Bass?” Texas Bass fishing has held legendary status for many years, with monsters weighing over 18 pounds pulled from Lake Fork in the past. And the Crappie fishing is just as good! Lake Conroe, Lake Livingston, Lake Texoma, and the Sam Rayburn and Toledo Bend Reservoirs all host a range of trophy-worthy species. Up for something a little bigger? The Alligator Gar all-tackle world record still stands in the Rio Grande, where a 279-pound monster was caught back in the ‘50s. These monsters are known to live 50 years easy, so who knows? Her big sister might still be waiting! Fishing licenses aren’t usually included on Texas fishing charters. 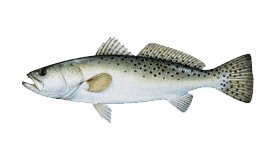 You can buy day or year-long “fishing packages” online, and can even get combo packages covering both fresh and saltwater. Bear in mind that you need a separate license to fish Lake Texoma. Live bait generally isn’t included in the trip price, either. 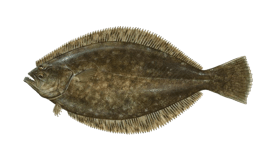 The cost varies according to the time of year, but most captains charge for bait at cost. Unlike many Gulf states, there are no seasonal closures on important species like Red Snapper and Amberjack in Texas. Federal laws still apply when heading more than nine miles out, and these are liable to change year on year. Any licensed Texas fishing guide will be able to give you up to date information on current limits and closures. Texas may not be the gunslinging frontier that it once was, but you can still find the fight of your life on the water. Whether you’re after big game battles or relaxing freshwater fishing, you can always find a skilled guide to take you out. Fishing is more than a hobby down here, it’s a way of life. Guides are on the water 365 days of the year if they can be, and they treat even first-time anglers like old fishing buddies (they don’t call it the Friendship State for nothing). So climb aboard, grab a rod, and have fun – you’ll be hard-pressed not to! Low temperatures make many species sluggish this time of year. There’s never a bad time for Trout fishing in Texas, though. There are also huge Catfish in the rivers and Snook in the southern lagoons. The weather can make offshore charters unreliable in February, but Snook and Trout will keep you busy inshore. Inland, Crappie, Bass, and Catfish are all on form, depending on where you fish. 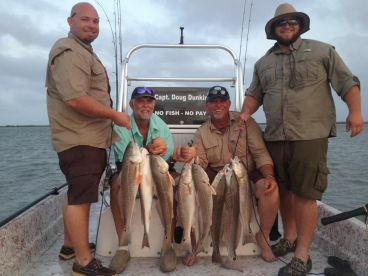 Texas Gulf Coast fishing produces Trout and Redfish by the dozen in March. 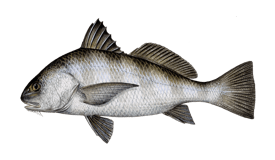 You can still catch big numbers of Sheepshead in the North or Snook in the South. Crappie usually spawn this time of year. April is a transitional month in Texas, with fish on the move throughout the state. This means you have decent chances of bagging most species. Largemouth Bass are great in the spring. The Texas STAR tournament kicks off in May, beginning over three months of inshore action. Amberjack are open for harvest in Federal waters, so you can have fun any depth of water. Amberjack may be off the menu, but federal Red Snapper season is open! You can also find big game species like Mahi Mahi, Tuna, Sailfish, and Marlin offshore this time of year. The Port Aransas Deep Sea Roundup has been running for over 80 years, and still draws big crowds in search of even bigger fish. Inshore, the “Big Three” are all on form, making for great flats action. Amberjack are usually open for harvest again this time of year. One thing you can be sure of is monster Tuna and Mahi Mahi out in the bluewaters. Oh, and an army of Bull Redfish in the shallows. If you fancy battling the Silver King in Texas, September is a good time to try. You’ll have to head out further than you’d expect to find them, but it’s well worth it when you spot that silvery shimmer. October is the last big push for pelagic fish offshore. 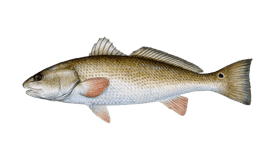 Inshore, you can always find plenty of Red Drum, Speckled Trout, and Flounder. This is also your last chance to enjoy Texas Shark fishing. Sheepshead pick up as the weather cools down, and big Blue Catfish start showing up in the rivers. Down in South Padre, Snook fishing starts to improve, and will only get better as winter rolls on. The weather has cooled to perfect flats fishing levels in December, and the waters are still warm enough to produce some good fights. The Crappie fishing Texas is so famous for heats up this time of year. Bring a big cooler because you will be taking home a lot of fish fillets. 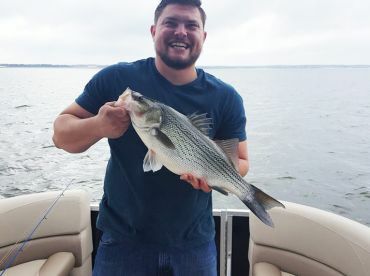 If Charles is available from "Lake Whitney Striper Guide" then book a trip with him. He will exceed your expectations. "Half day trip with Capt.Frank Hauser"